Green building has grown from a niche market to a savvy business strategy. WaterSense labeled homes meet consumers’ demand for a whole-house solution to help them save water, energy, and money while maintaining a high level of performance. Some of the benefits of WaterSense labeled homes include: Savings that Perform WaterSense labeled fixtures are independently certified to use less water and perform as well or better than standard models. Peace of Mind Trained professionals conduct independent inspections to ensure that WaterSense labeled homes meet EPA’s criteria, so you can be sure the homes perform well and save water. Outdoor Ease High-performing landscapes are designed to be low-maintenance and water-efficient without sacrificing curb appeal. WaterSense labeled irrigation controllers help homeowners water smarter. Heating water is typically the second largest use of energy in a home (after space heating and cooling). Careful planning and thoughtful design/selection can result in efficient distribution systems without significantly increasing costs or installation time. A high-performing plumbing system ultimately saves the homeowner money and allows builders to deliver a better product to their customers. 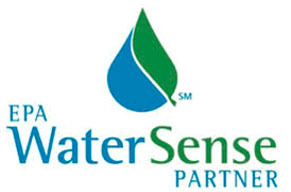 Water Sense labeled homes meet EPA water and energy saving standards!